The official definition for debris is “scattered pieces of waste or remains.” It usually refers to the broken up bits from a building demolition. However, debris can come in many forms around the house. One thing that is common about all kinds of debris is that Junk King Palm Beach can have it removed in no time at all. If you’re replacing a roof or repairing story damage, then there is going to be a big pile of debris generate from the project. 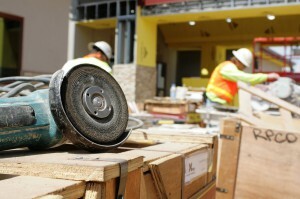 Most contractors and work crews will assume they can just throw out that debris in your trash. Some of it might fit but it would mean there won’t be any room for your actual garbage. On the bigger repair jobs, the crews will create a pile of debris and keep adding to it until the job is finished. If you have specifically contracted for debris removal with them, then that pile of trash will be your responsibility. Junk King can certainly help with that. It’s not just repair work that can create mounds of debris but also a remodeling project. You could literally have your entire old kitchen smashed up in to pieces that need to be cleared away. If you were to spend time sorting through your closets, then you would probably find “scattered pieces” of old clothing, shoes, sweater, jackets and hats that could be cleared out to make more room. Again, Junk King is the best approach for any kind of debris removal. What makes hiring Junk King ideal is the fact that their moving squads are going to do all the work for you. No matter where your debris pile is, that is where Junk King will pick it up from. It doesn’t have to be bagged up or put into a box. Let the Junk King crew handle it the best way they know how. You can set up your appointment with Junk King on the day of the repairs or the demolition. That way things can stay clean at the job site. Junk King will make every effort to show up at the time that works best for your schedule. Junk King Palm Beach helps make debris removal a hassle-free task. Put them to the test today. This entry was posted in Palm Beach Junk Removal and tagged Debris Removal, Junk King on September 30, 2018 by Junk King. Last updated September 30, 2018 . At your home, how close are you to running your air conditioner around the clock? It is understandable during heat waves during the day but do you keep it on overnight? Has it held up over the summer? 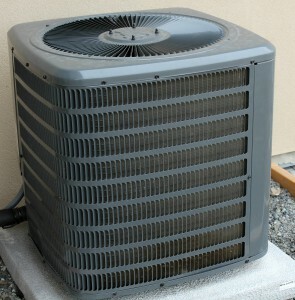 As the temperatures start to cool, now might be the best time of year to go shopping for a new AC. You’re sure to find a good deal on them. As for the old AC, this is an appliance that has to be disposed of in a responsible manner and that is what Junk King Palm Beach is all about. Junk King has been dedicated to an eco-friendly approach to disposal since their inception. Every franchise is encouraged to maintain that “green standard” and Junk King Palm Beach is no exception. An old AC can’t just be crushed up for scrap. It first has to be drained of the cooling chemicals used to make it work. That is something that can only be performed at a certified recycling center. Junk King knows who the players are in the recycling industry throughout the area and when they’ve got a truck load of old AC units to dispose of they know right where to take it. Removing an old AC unit is a two-man operation. But so is removing all kinds of other things you might want to dispose of like a sofa, loveseat or recliner. If it took two movers to bring something into your home, then it will take two movers to carry it out again. You’ll be working with two movers. They’re part of every Junk King service call. An AC unit is also going to heavThe smart approach for getting rid of your old AC and the rest of your junk is the Junk King Orlando way. Book them today.y but that’s not a factor for your pricing. If Junk King charged by the pound, they wouldn’t be in business for long. Instead, Junk King has a pricing policy that is all about how the truck will get packed. The less room your stuff uses up, the less you’ll be paying. The smart approach for getting rid of your old AC and the rest of your junk is the Junk King Orlando way. Book them today. This entry was posted in Palm Beach Junk Removal and tagged Junk King, junk removal, old ac on September 19, 2018 by Junk King. Last updated September 19, 2018 .